Local, organic herbs are available, but they typically come in plastic clamshells. Ewwww. Throwing away all that plastic makes fresh herbs hard to swallow. The simple and delicious solution has been to grow my own. The unexpected benefits of growing my own herbs has been that I have fresh flavors in the middle of winter. I cannot overstate how marvelous it is to have the likes of basil and cilantro when it's freezing outside. I started my indoor herb garden a year ago. Over that time, I've gained a lot of tips for how to make herbs thrive. You're going to need to find the sunniest window in your house. Mine just happens to be a southern facing window in my litchen. Kitchen windows have an added bonus in that they tend to be warmer and more humid in the winter from any cooking you do. You can put pots of herbs in the window sill. I went a step further and hung shelves in front of my windows. This created more space for the herbs and also serves as a natural window treatment. 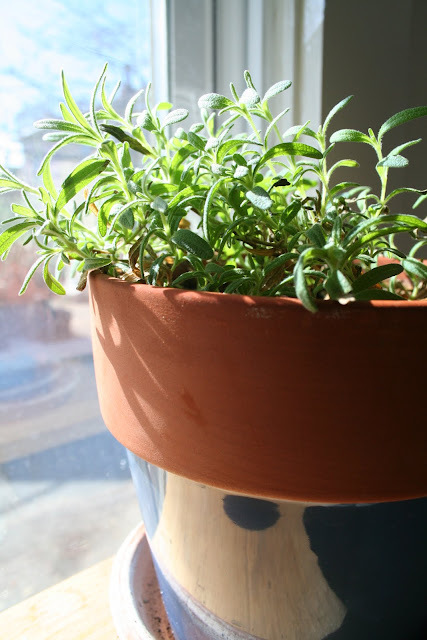 You can start herbs from seeds or buy them in pots. Starting from seed takes a little more time. If you plan to do that wait till March when you're starting to get more sun. 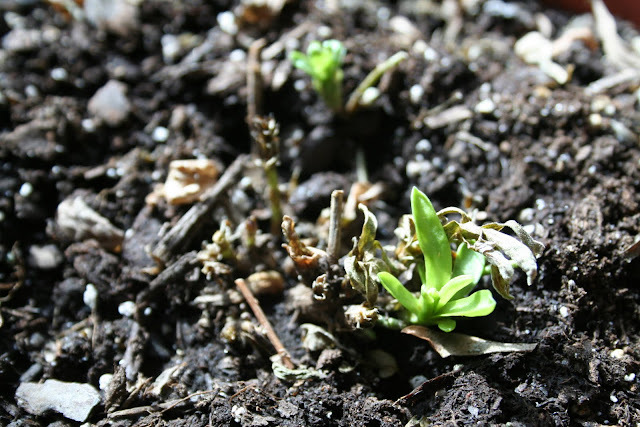 Adult plants will make it through the winter, but tiny seedlings are really looking for more sun and warmth. You can keep them in separate pots, which is what I do, or you can put them together in larger window boxes, which can look totally decorative. There are some herbs that you always want to keep separate, like rosemary and mint, since they have a tendency to take over. If your aesthetic sensibilities require them to be in a container with the rest, plant them with the plastic container they come in. That will keep their roots centralized. 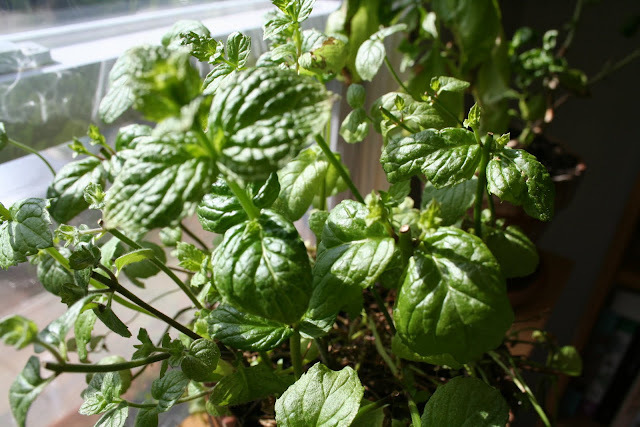 Mint will eventually sprout roots from its branches, so watch out for those wily guys. Wait to harvest until the plant is really established, so at least six inches tall. Then you can start snipping away whenever you need a little extra kick in a recipe. I like to evenly snip a little bit, about an inch, from all branches. This helps to make the plant grow wide and thick rather than thin and lanky. Occasionally, you're going to need to really cut things back. This happened in particular with my tarragon. It got really lanky and started to brown in spots. I literally cut it back to the dirt and it started growing back the next day. Again, wait till your plant has a truly established root system before doing this. 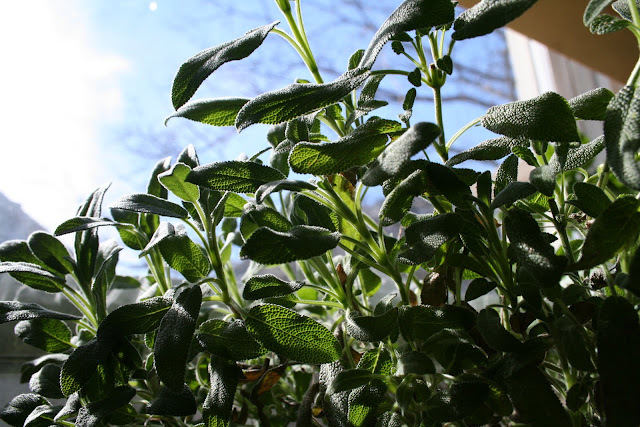 Herbs like mint, rosemary, thyme, sage, and tarragon are perennials and can easily last year after year. Others, like basil, cilantro, and parsley are annuals and tend to grow like crazy and die off quickly. 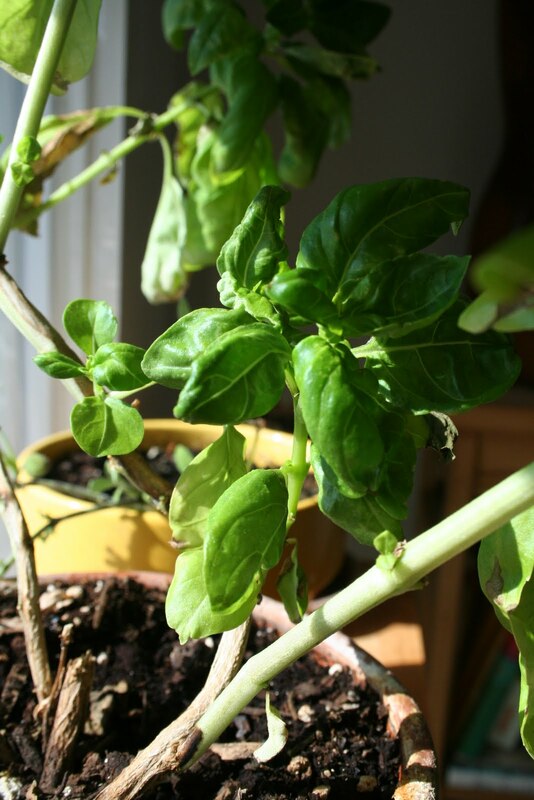 However, I have been able to keep my basil alive for over a year by nipping it in the bud. Nope, that's not just an antiquated saying - it's actually useful for indoor horticulture. These plants are growing fast so they can reproduce before winter comes and they die off. But if you keep cutting off its flowers (which is its only chance to reproduce) while keeping it relatively warm, it tends to stay alive and kicking. Isn't the biologic imperative to reproduce a wonderful thing? Cilantro is a totally different story. I haven't been able to keep it alive once it hits maturity. Instead, I'll just harvest it and throw more seeds in the pot. In a few more months, I'll have another batch. In most cases, this has allowed me to have a constant supply of herbs when I need them. However, with growth spurts and harvesting, I've had to learn to shape my meals around the herbs that need to get used RIGHT NOW. When I can't use something immediately, another solution is to freeze batches of herbs. This works well for basil and cilantro. Basil you can just make into pesto, or, like with cilantro, you can blend it with a little bit of water. Then pour the blended herbs into ice cube trays and freeze (my mom did this with homemade baby food when I was a baby). The cubes make almost perfect single serving measurements.